Just a week after Vue46 opened for public in Jakarta, Les Amis Group Indonesia launched yet another premium dining concept in Jakarta. But this time round, the food is something familiar and relatable to Indonesians: shabu shabu. Shabu Shabu Gen, one of the brands under Les Amis Group, opened in Singapore in 2009, and it specializes in serving high end shabu shabu. Seeing the opportunity in the increasingly affluent yet untapped market in Jakarta, this November 2015, Shabu Shabu Gen arrived to cater to the highly niche market. Located right next to Vue46, on the 46th floor of The Plaza office tower, Shabu Shabu Gen not only promises an entirely new level of shabu shabu dining, but also an unparalleled vista right at the heart of Jakarta. Bear in mind that there's a dress code to be observed, commonly observed at similar high end dining venues. With 32 seating capacity, it would be best to make reservations ahead, so as to secure a good spot. So firstly, the staff would serve the various imported sauces and toppings, as well as truffle salt. And then the shabu shabu pot will be prepared at the table top induction stove as well. Unlike at the average shabu shabu restaurants, Shabu Shabu Gen only serves Original broth to cook the meat in. The broth itself is a mild mixture of konbu, katsuoboshi, and other Japanese spices. Just need to dip the incredibly tender and thin meat slices into the boiling soup a few times, until it reaches this slightly opaque, creme colour. Look at that marbling! *gasp! The meat literally melted in the mouth, and even without dousing the meat in the sauces, they already taste really delicious, sweet and buttery (from the fat). And then, the part that I anticipated most: trying out foie gras for the first time in my life, boiled in shabu shabu soup. The cream coloured lump of liver looked very tender and fragile, so I requested for the staff's assistance, for fear my clumsy hands will destroy it while cooking. The boiled foie gras has a consistency that's very similar to soft tofu, but it's a lot fattier, so, you might want to be extra careful when picking it up with your chopsticks. Much to my relieve, the foie gras did not have any gamey odour at all (this is what i fear the most about eating liver, I hate the gamey stench!). I dabbed the edges of the foie gras into the truffle salt (just a bit will do). Right upon contact with my tongue, the foie gras immediately melted into this sweet and buttery liquid in my mouth. It felt to good, yet guilty at the same time. I was transported to an entirely different level of foodgasm! 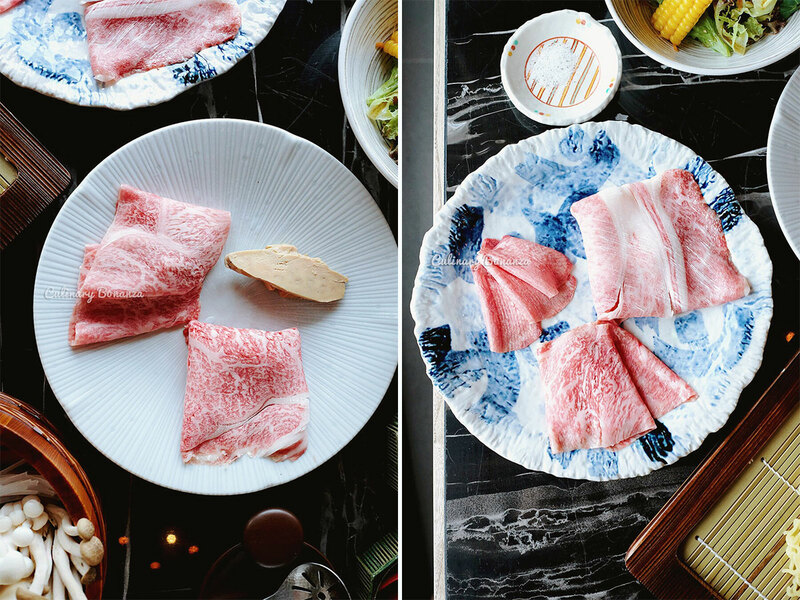 With Shabu Shabu Gen's arrival, it has definitely elevated shabu shabu dining in Jakarta to a brand new level. Price wise, indeed, it's not intended for the median consumers, who mostly prefer quantity over quality. 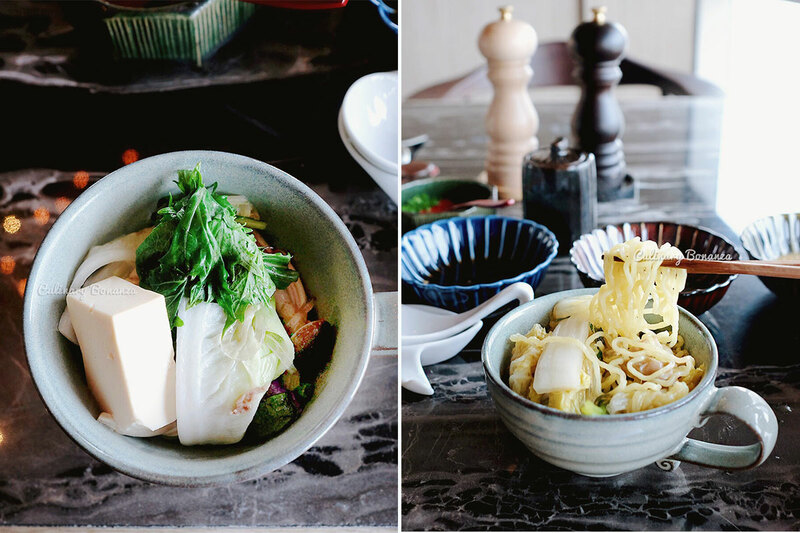 For those who value quality over quantity, then Shabu Shabu Gen is where you should go to, especially if you are into one-of-a-kind, premium dining experience.